Who Are Christian Citizens of Tennessee Christian Citizens of Tennessee - Leading the the way on conservative values. Christian Citizens is best known for leading the charge on to defend the Ten Commandments and to stand for pro life. In the days before statehood, Tennesseans struggled to gain a political voice and suffered for lack of the protection afforded by organized government. 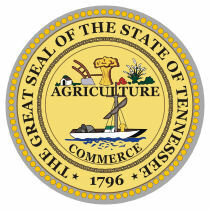 Six counties—Washington, Sullivan and Greene in East Tennessee and Davidson, Sumner, and Tennessee in Middle Tennessee—had been formed as western counties of North Carolina between 1777 and 1788. After the American Revolution, however, North Carolina did not want the trouble and expense of maintaining such distant settlements, embroiled as they were with hostile tribesmen and needing roads, forts and open waterways. Nor could the far-flung settlers look to the national government, for under the weak, loosely constituted Articles of Confederation, it was a government in name only. The westerners' two main demands—protection from the Indians and the right to navigate the Mississippi River—went mainly unheeded during the 1780s. North Carolina’s insensitivity led frustrated East Tennesseans in 1784 to form the breakaway State of Franklin. John Sevier was named governor, and the fledgling state began operating as an independent, though unrecognized, government. At the same time, leaders of the Cumberland settlements made overtures for an alliance with Spain, which controlled the lower Mississippi River and was held responsible for inciting the Indian raids. In drawing up the Watauga and Cumberland Compacts, early Tennesseans had already exercised some of the rights of self-government and were prepared to take political matters into their own hands.